October 16, 2018, 2:00 p.m. Saving for retirement can seem daunting especially if one hasn’t started yet. 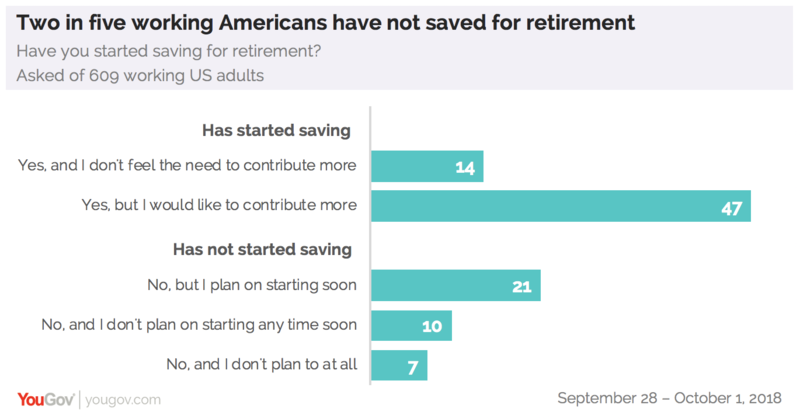 Even among those who have started saving, most are dissatisfied with how much they currently contribute, pointing to “under-saving” as another barrier towards retirement security. This sentiment may lead to why 37% of Americans say they plan to work even after they retire. In a new YouGov Omnibus study, only 14% of Americans identify themselves as employed and say they won’t work when they retire. A greater number (37%) say they’ll work either part-time (14%) or full-time (12%) when they retire. This figure soars among 18- to 34-year-olds (51%) and 35- to 54-year-olds (45%), who identify themselves as currently working and echo that they intend to work in some capacity after retirement. Of those currently employed, 39% report that they have not started saving for retirement yet. This includes those who say they haven’t yet but intend to start soon (21%), those who say they won’t start any time soon (10%), and those who don’t plan to save at all (7%). Most (61%) working Americans say they have started saving but just 14% are satisfied with what they have contributed so far. Nearly half (47%) of Americans voiced that they would like to contribute more. Saving early for retirement can lead to advantages (such as maximizing compound interest) in the pursuit of financial security. 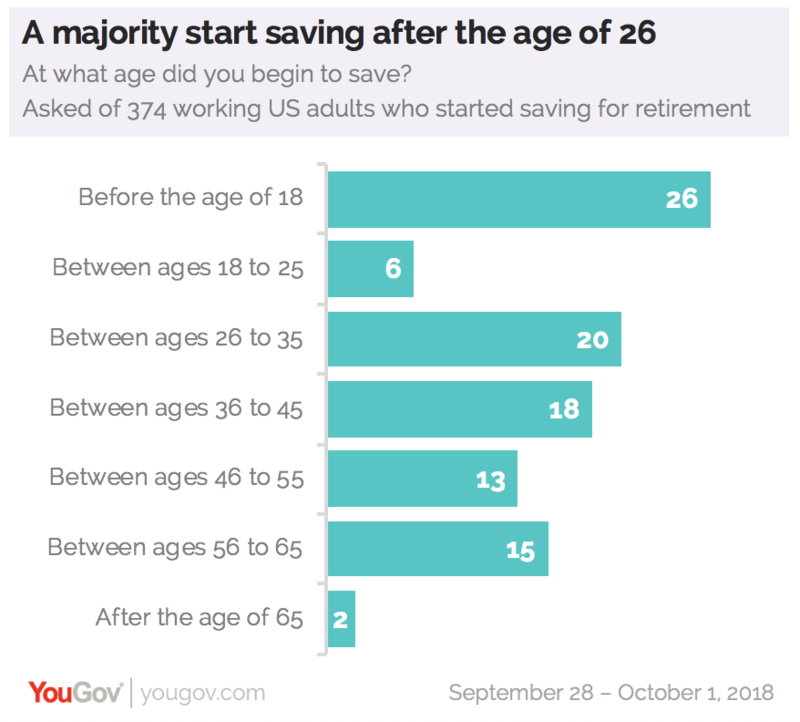 YouGov’s research shows that of those currently employed and saving for retirement, more than a quarter (26%) made their first contribution before the age of 18. Many (20%) started saving while they were 26- to 35-years-old and nearly as many (18%) started when they were 36- to 45-years-old. 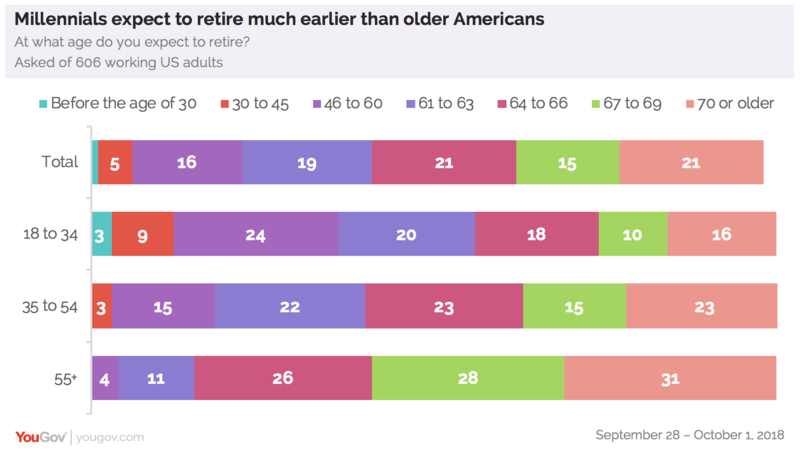 One analysis of US Census bureau data found that the national retirement age is around 63 years-old but Yougov’s study reveals that only 42% of working Americans actually expect to retire by then. A majority (48%) say they will likely retire later after that age. 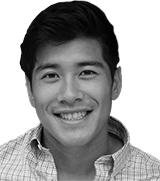 Millennials have a different view: 56% of employed 18- to 34-year-olds say they expect to retire by the time they are 63, compared to just 40% of 35- to 54-year-olds in the same group. Those 35 and older are actually more likely to say they’ll retire after the age of 63 (60% of 35- to 54-year-olds, 85% of 55 and older). A majority (74%) of Americans believe that it’s more important now than it was in their parents’ day to start saving early for retirement. This includes 67% of 18- to 34-year-olds, 73% of 35- to 54-year-olds, and, notably, 81% of those aged 55 and older. 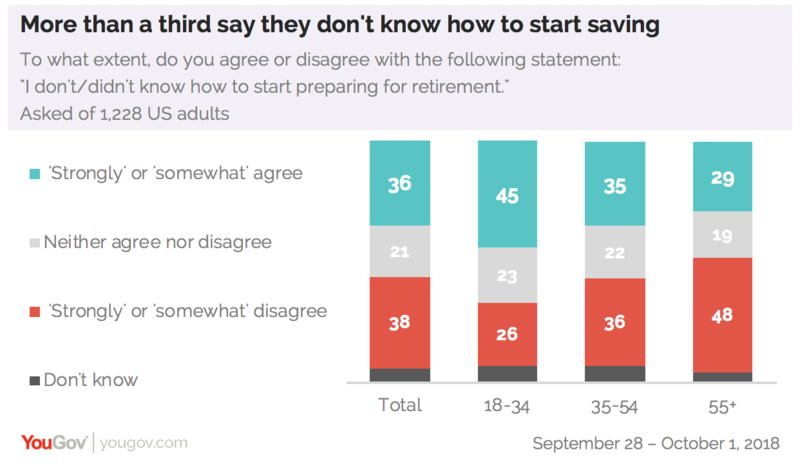 But starting at all can be a challenge for many and 36% of Americans agree that they don’t or didn’t know how to start saving for retirement. Millennials (45%) are the most likely to agree that they don’t know where to start and even 35- to 54-year-olds were split in opinion (35% agree, 36% disagree). Saving for retirement enables people to lead the life they want when they reach it. Of those currently working, only a third (33%) want to stay exactly where they are when they retire. One in five say they would like to move to a state with a warmer climate and nearly the same number (19%) say they would like to move closer to family. 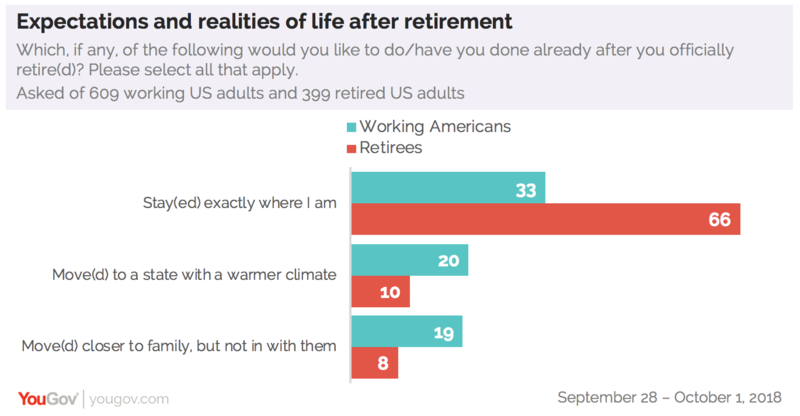 The survey also asked retired Americans what they actually did upon reaching retirement and to temper expectations, 66% – nearly double the rate among working Americans – of retirees stayed exactly where they were. To add upon that, only one in ten say they moved to a warmer climate and even fewer (8%) moved closer to family.